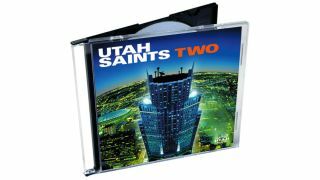 You’re only as good as your last album, and the Utah Saints’ debut set the bar pretty high. Three top ten hits, success in America, and a six-album deal with London Records. How do you follow that? For Tim Garbutt and Jez Willis, the obvious choice was to hand in an album of anti-hits and ultra-fast techno bangers so radio-unfriendly that they were promptly dropped from a label expecting more pop hooks and effortlessly marketable stadium dance beats. Liberated, an unhurried process of songwriting unfolded and an Indie record label, sensitive to their needs, offered to put it out. Pressure off, they laboured over the tracks, and as the arrangements took shape, a raft of star collaborators climbed aboard. Rap firebrand Chuck D joins soul legend Edwin Starr in the album credits, while everyone from Chrissie Hynde to Iggy Pop popped up into the sampler. The most ‘self-sabotaging-but-love-em-for-it’ addition has to go to their use of REM frontman, Michael Stipe, who holds the album together via a curious series of spoken word interludes. “Yeah, he was actually up for doing a proper song,” chuckles Jez. “But instead we just recorded some conversations down the phone, which we then soundtracked. “If we were on a different label they’d just see dollar signs! But we’ve never been brilliant business people.” [Laughs]. Well, it’s not all about the business, is it? Here, Tim and Jez talk us through their star-studded long-player. Jez: “Remember Napster? There was a big debate in the US Senate with two sides talking about it. You had Lars Ulrich from Metallica saying it was bad, and Chuck D from Public Enemy saying it was good. Tim: “This samples Average White Band [Pick Up The Pieces]. We both just really liked that guitar sound on that record. We just looped it up in the Akai and it just had an awesome stereo sound. You could just ping it left and right. Jez: “This samples The Pretenders’ I Go To Sleep. 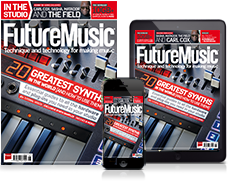 Electronic music-wise, it’s probably one of the tracks we are most proud of. Though it’s not an obvious house banger, it just had a lot in it. It all just kinda worked. Jez: “Michael Stipe, again. He started naming so many places in a conversation, then said the words ‘punk club’, which we really liked. So we cut it all up to make him take you on a little trip around America, ending up in a punk club. Then we added a little groove to what he was saying. Michael Stipe, again. He started naming so many places in a conversation, then said the words ‘punk club’, which we really liked. So we cut it all up to make him take you on a little trip around America, ending up in a punk club. Jez: “We really wanted to sample some Tuvan throat singers. Tuva is a little country near Mongolia. It’s one of the earliest forms of singing. “We nearly didn’t use it cos Massive Attack used a similar sample a few years earlier, but it was such a powerful, interesting voice that we wanted to do something around that. Jez: “Michael Stipe is talking about his favourite Fellini film, And the Ship Sails On. It’s a bit of a mad film. There’s a rhinoceros on this boat, and there’s not a lot more to it than that. Tim: “We had originally intended to have [Israeli singing legend] Ofra Haza sample on this that Coldcut had used for their Eric B & Rakim remix, but we ran out of time and couldn’t clear it. “It originally had that in, and Jez singing vocals, which we kept. It would have been nice to have them both, though, as those two elements worked really nice together. Tim: “The vocals for this were based around dialogue from the movie Taxi Driver, with Robert De Niro. We initially had them sampled in here, but swapped them out with new vocals in that style, and got our mate, Guy, to do them, ‘cause he had a cool American accent. We never took the obvious part of these records. We never took the piss. We never took anybody else’s chorus and made it ours. For merch, tweets, and breaking news from the boys, head to their website.